Well, this makes my day. My favorite food site in the world, Food52, picked one of my recipes as a "Community Favorite". I'm thrilled because I love this site and the wonderful people who put it together. It's a true cooking community, stylishly presented, without the ragtag look and annoying ads and pop-up videos of some other sites. The articles and recipes are smart, inventive, real and fun. Yes, I'm a fan. 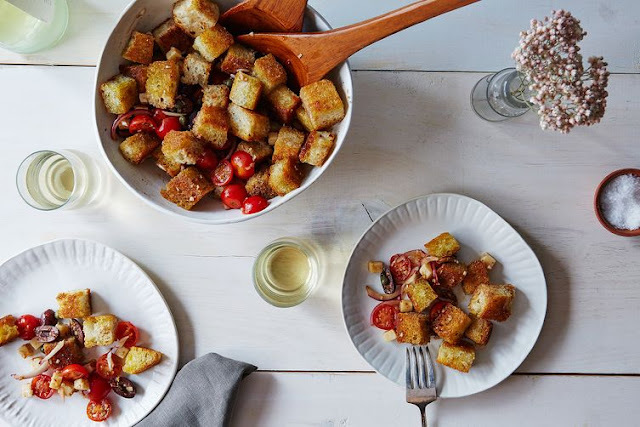 And just look at that great photo of my recipe, Puttanesca Panzanella!